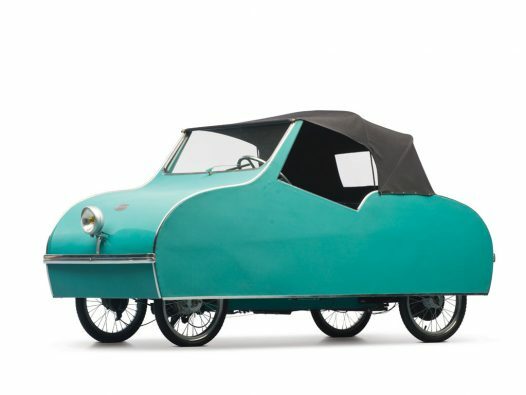 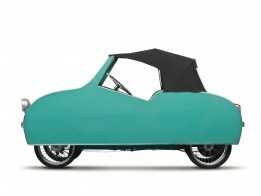 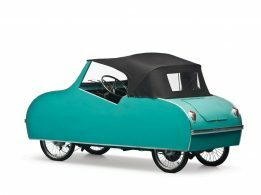 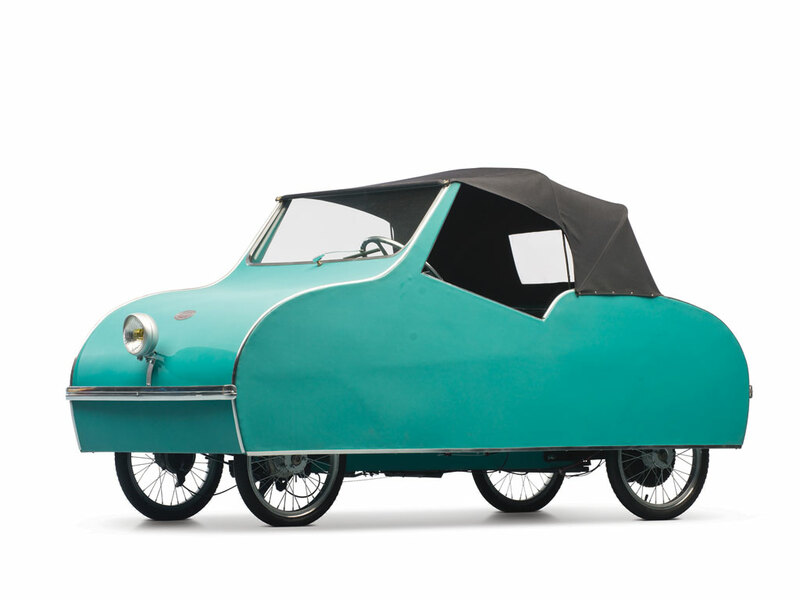 Ardex is a small French company which started producing cyclecars in 1934. The production was ended in 1943 and continued only in 1953. 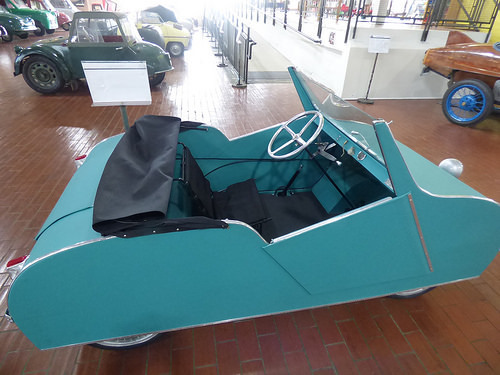 This unique cyclecar has a body made of plywood and covered with vinyl. 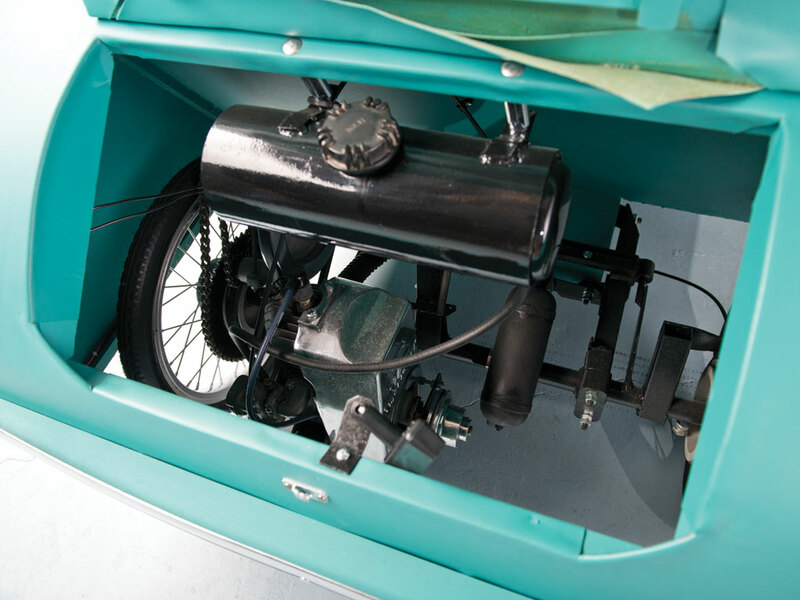 It is equipped with a 50 cc 2.5 hp Fichtel & Sachs 1-cylinder 2-stroke engine with a unique dash-operated clutch. 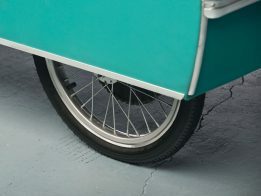 The engine is located at the rear and drives the left rear wheel using a chain drive. The fuel tank is located above the engine. Fuel is supplied by gravity. 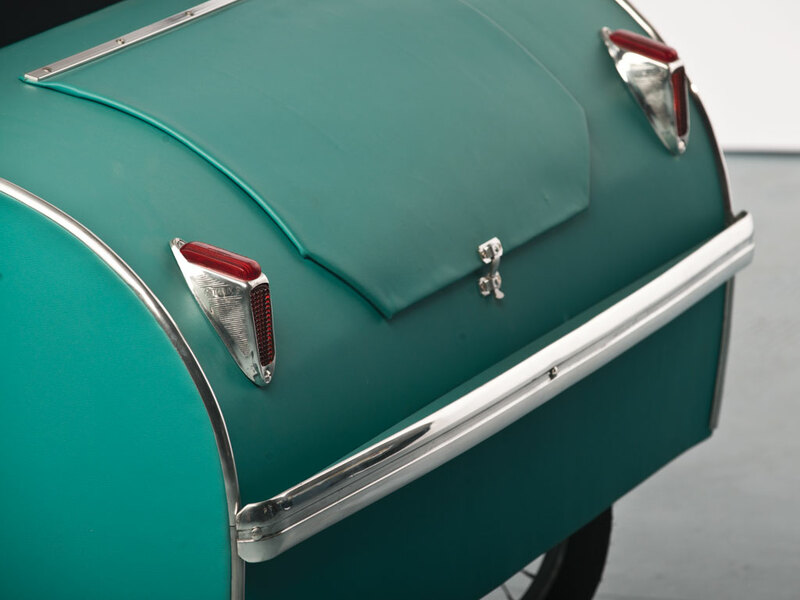 The car has only one door on the right side, one headlight, one wiper and two taillights. 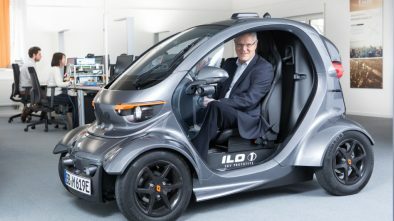 There is only space for a driver inside who sits on something like a folding chair. 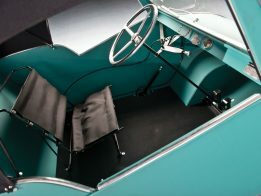 There is a manually folding soft top above the drive. 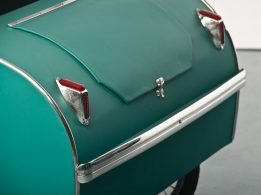 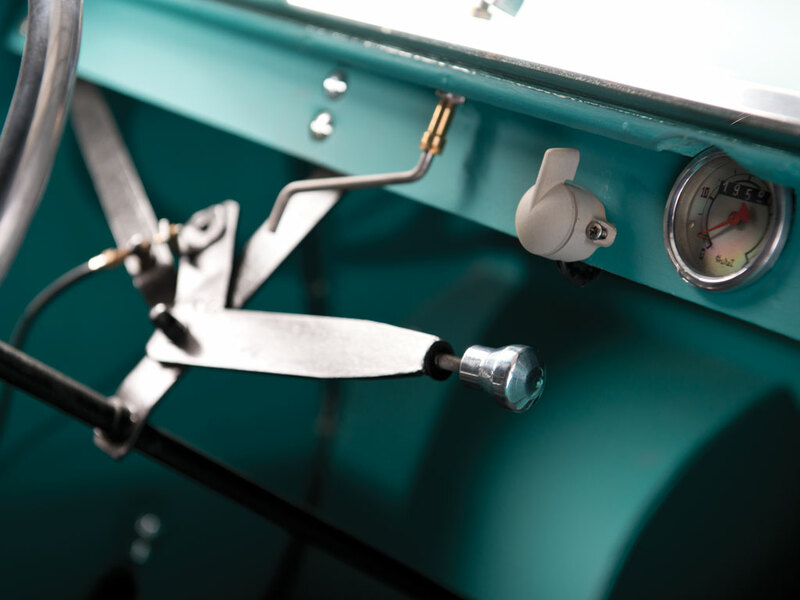 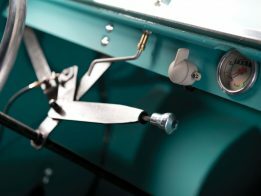 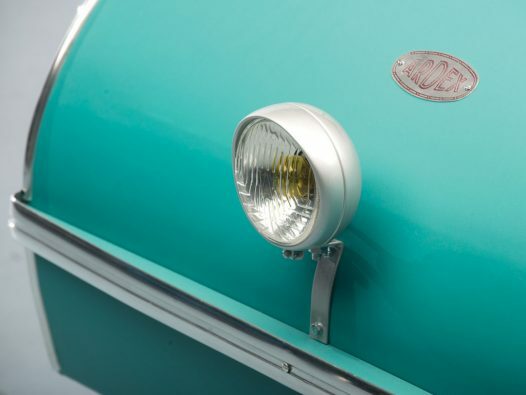 Finished in turquoise, this is an exceptionally rare, original, unrestored vehicle that is, indeed, a true survivor. Length: 7 feet 5 inches. 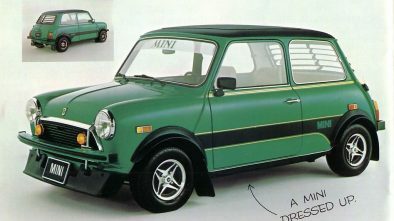 Production was very limited. 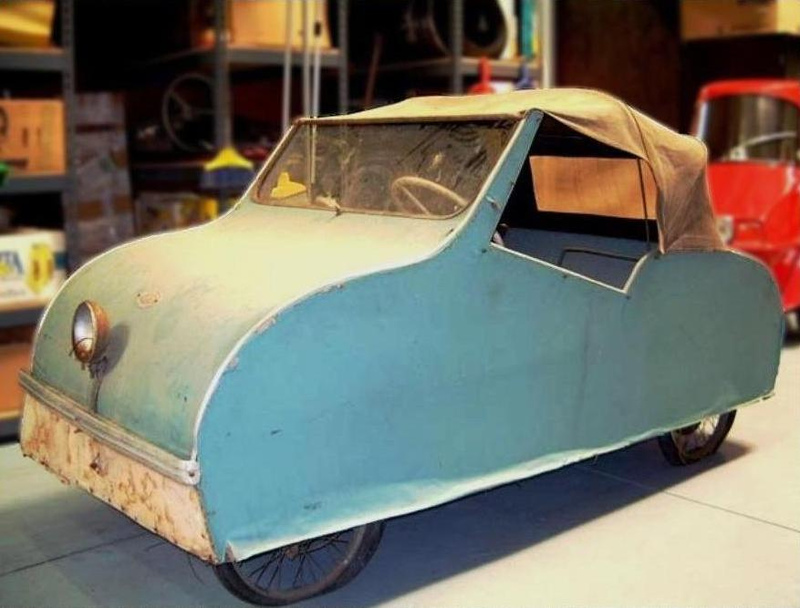 In 2012, it was sold for $13,800.